McFarren Aviation Consulting (MAC) provides consulting services to the general aviation (GA) industry. MAC was established by Lindsey McFarren, an industry-recognized expert in GA regulations, safety and security. Lindsey originally aimed for a career in economics, majoring in economics at Mount Union College in Alliance, Ohio, before becoming enamored with the GA industry. Lindsey began her career as a certified flight instructor (CFI) where she quickly learned not everyone believes safety is a top priority. As a result of this harsh lesson – the full story is best told in person – Lindsey opened her own flight training facility in northeast Ohio. There she managed a 25,000 square foot hangar with two self-fueling pumps, four CFIs and three aircraft. Students were trained under part 61 but utilized rigorous, part 141-like syllabi. She then worked for a large fractional ownership provider in Ohio while finishing her Master of Aeronautical Science degree at Embry-Riddle Aeronautical University (ERAU). Lindsey moved to Washington, DC, following graduation from ERAU to join the National Air Transportation Association (NATA) as Manager of Regulatory Affairs. While at NATA, she became an industry expert on part 135 charter regulations. She was an integral participant in the Turbine Aircraft Operators Subgroup as well as other subgroups of the GA Joint Steering Committee, the primary FAA/industry working group focused on GA accident mitigation. Lindsey was also a crucial member of the FAA/industry operational control working group and drafted NATA’s Hazardous Materials Training Curricula. She specialized in a broad range of general aviation and charter regulations and issues, including TSA security programs, safety management and assessments, fuel fraud and tax matters, air ambulance/emergency medical services regulations (EMS), and very light jet (VLJ) initiatives. Lindsey then joined the Transportation Security Administration (TSA) as the Assistant General Manager of General Aviation Programs. In this position she oversaw the DCA Access Standard Security Program, worked with GA operations in special and restricted airspace, published GA Security Action Items, and developed a GA airport vulnerability study. After the TSA, Lindsey joined a large aviation consulting firm where she conducted safety and security assessments for GA operators, FBOs, and airports. 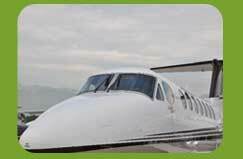 She is accredited as an Air Charter Safety Foundation Industry Audit Standard auditor. These experiences mean Lindsey is uniquely qualified to provide the GA industry with consulting services in the areas of regulatory support and compliance, safety, security, and education. Lindsey was named one of aviation’s “Top 40 Under Forty – the Best and Brightest” by CYGNUS / Aviation Pros in 2012.